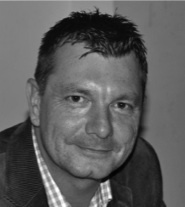 As of May 1st, Stepan Peters (Director Preclinical Development at Okklo) is appointed part-time professor at the Fontys University of Applied Sciences (Eindhoven, The Netherlands). The Dutch Universities of Applied Sciences (‘Hogeschool’) are an attractive partner for SMEs like Okklo Life Sciences, providing access to students (also as potential future employees), but also because of their R&D activities. Okklo has also been collaborating with the Utrecht University of Applied Sciences since 2013 and we are also looking forward to become engaged with new partners such as Fontys.